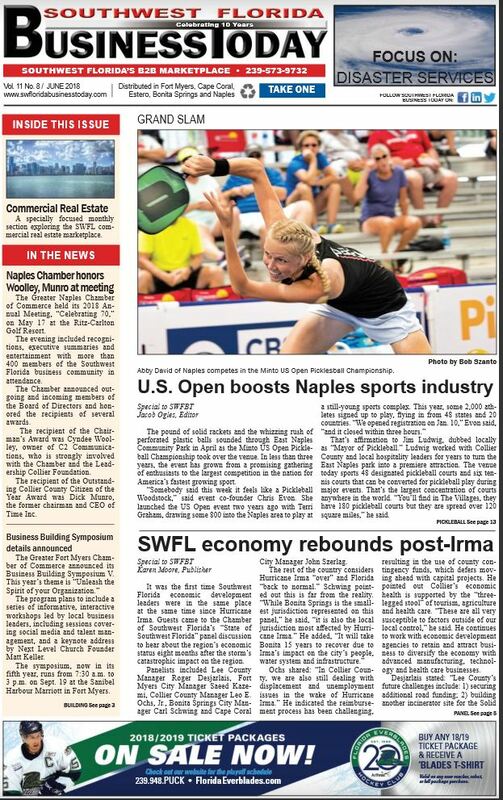 NAPLES, Fla., March 14, 2019 /PRNewswire-PRWeb/ — The Minto US OPEN Pickleball Championships Powered by Margaritaville, a world-class, international competition, return to East Naples Community Park in Naples, Florida, has been named a Champion of Economic Impact in Sports Tourism by Sports Destination Management Magazine. Sports Destination Management, the leading publication with the largest circulation of sports event planners and tournament directors in the sports tourism market, honors top-earning sports events each year. Tournaments create an economic ‘win’ for the cities hosting them by increasing business in hotels, shops, restaurants and attractions, by generating sales of products relating to the tournament, and by growing awareness of communities as sports and vacation destinations. 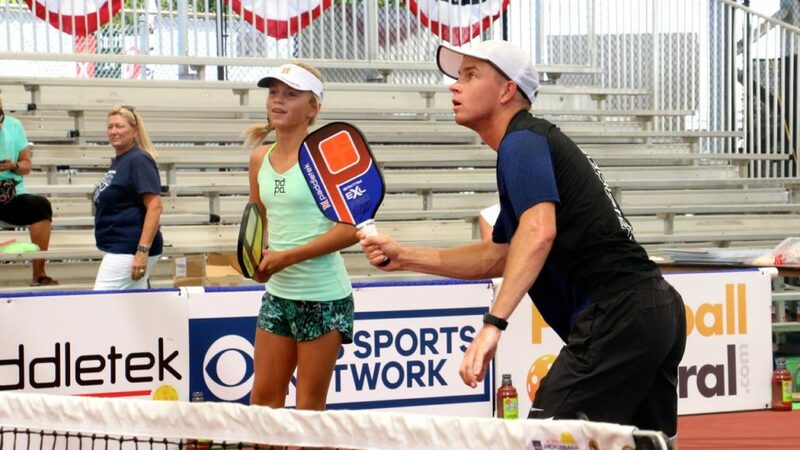 The 2018 Minto US OPEN Pickleball Championships Powered by Margaritaville had a total economic impact of $4,500,000, creating an economic boon for Collier County. It additionally generated 9,429 room nights, making it one of the year’s top earners, and brought in approximately 11,000 spectators and 2200 participants. 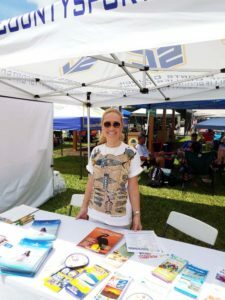 The event, sponsored by the Minto Communities, additionally brings in visitors who are interested in relocating to the Naples, Florida, area. The company offers new homes on the Isles of Collier, many of which are adjacent to the East Naples Community Park. Minto Homes also has eight private pickleball courts for residents’ use. They also have created the #1 over 55 community with Latitude Margaritaville properties in Daytona Beach, Hilton Head, and more to be announced. All winners of awards were recognized in a special feature in Sports Destination Management. The entire article with full details on the winners listed below can also be found online along with a special feature on economic impact. The Minto US OPEN Pickleball Championships have been exceeding organizers’ expectations ever since the inaugural event. The event has continued to surpass its own records each year, and this year, will see more than 2,200 athletes coming from 48 states and 16 countries. The upcoming event, to be held April 27-May 4, 2019, has already sold out and is on track to be another economic success, says Graham. 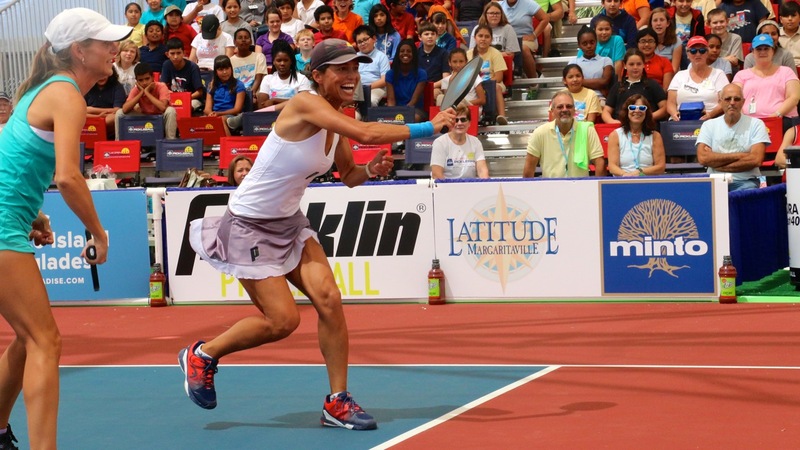 Minto US OPEN PickleballChampionships: The Minto US OPEN Pickleball Championships is organized by Spirit Promotions, LLC, a company formed by Terri Graham, president, and Chris Evon, executive director, in 2015. 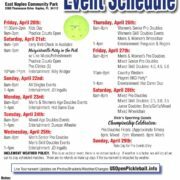 Information on the Minto US OPEN Pickleball Championships is available on the event’s website, usopenpickleball.com, where visitors can also sign up for e-mail updates about the tournament. 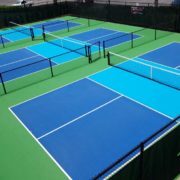 For sponsor or other information, e-mail Terri Graham at terri(at)usopenpickleball.com. Watch the Pro’s on the famous Zing Zang Championship Court. The most amazing outdoor pickleball arena in the world! The exclusive US OPEN Triple Crown Award is given to the Pro and Sr. Pro Players who wins gold in Singles, Men’s or Women’s Doubles, and Mixed Doubles. We would like to thank the over 300 volunteers who did everything from filling water coolers, to welcoming you at the Naples Botanical Garden Welcome Center, to getting the courts ready in record time after rain delays! And everything in between! You couldn’t miss them in their bright green ILOVEPICKLES.ORG T-shirts and their bright smiles! 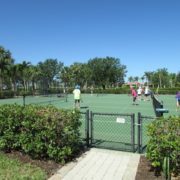 NAPLES, FLORIDA – THE PICKLEBALL CAPITAL OF THE WORLD! Lori Lou Waddell, board member of the Collier Sports Council, hands out literature to players and fans. Naples’ Simone Jardim defeats Lucy Kovalova to take home the title of Women’s Pro singles title 11-2, and 11-1. It was her third US Open title championship in a row. Ft Myers native Kyle Yates was defeated by Tyson McGuffin in three sets 11-5, 6-11, 11-4. McGuffin is the No. 1 ranked singles player in the world. It was a sellout crowd with over 1,000 fans in the Zing Zang Championship Court on Sunday. The champions took home $1,750 each of the tournament’s $46,400 purse. The Women’s Senior Pro (50 and over) gold medal was won by California tennis pro Cammy MacGregor, while the Senior Pro men’s gold medal was won by Scott Moore from Colorado Springs, Colorado (56), his second in a row. A full schedule is ahead with over 2,000 registered players. 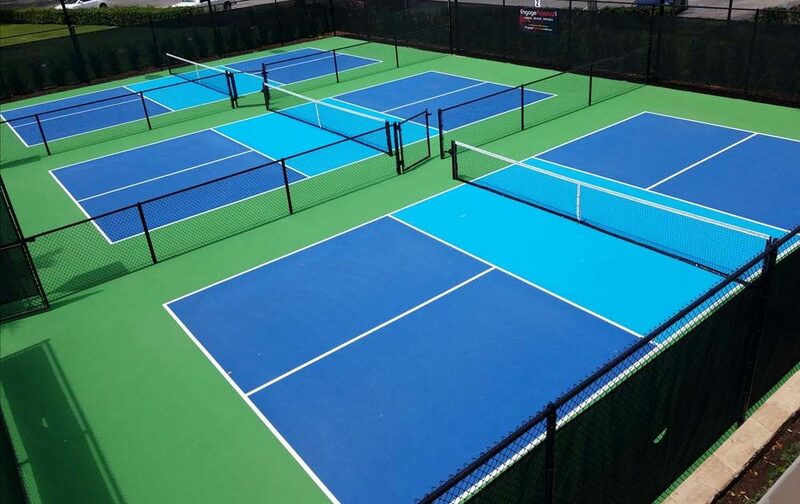 Vineyards Country Club celebrated their 30th year anniversary by renovating many of their fitness facilities, including building these new Pickleball courts. 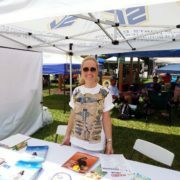 Pickleball is hot in Collier County, The Pickleball Capital of the World! Volunteers Needed for US Open Pickleball – Can You Help? Volunteers are needed for the 2018 U.S. OPEN. This extraordinary event will be happening at East Naples Community Park, 3500 Thomasson Drive. The actual games begin Sunday, April 22nd throughout the week, ending the evening of April 28th. During this week, we need volunteer support to make it all happen. The shifts for the U.S. Open are 8 AM-12, 12 PM-4, 4 PM -8. We need volunteers that are willing to work three or more shifts throughout the week. 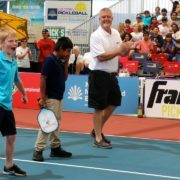 If you are a pickleball enthusiast, this is a wonderful environment to be part since you will see the very best pickleball competitions in the world. Volunteers who work three shifts will be provided three parking passes, two meal tickets, and a T-shirt. You will meet players from all over the country and have the opportunity to wander the park in your off time to watch the highest levels of pickleball play imaginable. Shuttle Drivers – Using large golf cart style shuttles, transport spectators and players to their vehicles. 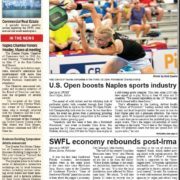 https://colliercountysports.com/wp-content/uploads/2018/02/usopenpickleballacademylogo.jpg 187 420 Russell Tuff https://colliercountysports.com/wp-content/uploads/2017/11/small-logo.png Russell Tuff2018-03-21 13:12:072018-03-21 13:12:07Volunteers Needed for US Open Pickleball - Can You Help?